Is your medical office Wi-Fi fast enough? With the growing use of mobile devices in healthcare, medical offices need fast wireless internet. But small practices are unlikely to have a dedicated IT staff person, leaving physicians or administrators in charge of setting up IT infrastructure for your medical office. If you’re a physician with a small medical practice, it’s likely you have some internet questions. What is an adequate speed for your medical office Wi-Fi? How does internet speed work and how can you test yours? How do you diagnose slow Wi-Fi and what can you do to improve your internet speed? There’s no hard and fast rule, but even small medical practices will want an internal network that runs at a minimum of 10 Mbps download speed. But as we discuss below, the speed you receive is shared between all devices on your network. The speed your medical office needs will depend on how many staff you have and how you are using the internet. An internet speed rating like 10 Mbps is more accurately called your “allocated bandwidth.” Bandwidth is the amount of data you can send or receive in a given time. For example, a 10 Mbps download speed means you can receive up to 10 megabits of data per second. In 2018 the average internet speed for US users is 26 Mbps. You can think of internet bandwidth like the size of a hose – the larger it is, the more water (data) you can transfer in a given time. It’s also important to remember that your allowed bandwidth is shared between all devices on your network. If you are video conferencing while a technician is loading x-ray images from a server, both activities use the same hose. Higher bandwidth levels (a larger hose) are capable of supporting more users and activities simultaneously. To give you a few reference points, Netflix recommends a 5 Mbps download speed for high-definition streaming. Basic web browsing requires about 1 Mbps and regular video conferencing 2 Mbps. Loading a text-only EHR requires just 0.025 Mbps. Your medical office Wi-Fi should have no problem streaming Netflix. Ultimately, you know you need faster Wi-Fi if using the internet is slowing down your workflow. If your internet seems slow, an important first step is to quantify the problem. 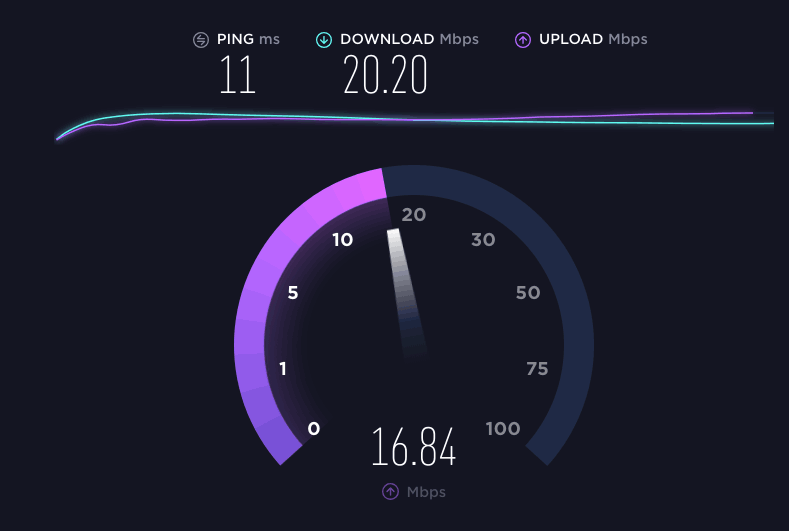 An internet speed test measures your upload and download speed by sending files between your computer and the internet. There are lots of websites to test your internet speed in just a few seconds. If your internet seems slow but is still clocking in at the advertised speed, you can contact your internet service provider about an upgrade. If your internet is slower than it should be, there are a few things you can try. Determine activity. Survey how many devices are connected to your network and what types of activities they are engaging in. This information can help you determine whether slow Wi-Fi is a result of not having enough bandwidth. Make clear signal lines of sight. Wi-Fi signal strength is affected by the distance and materials between your router and devices. Make sure you’re using the best spot for your router, and consider adding access points or upgrading your router’s antenna. Update the router’s firmware. Updating an older router’s firmware could improve performance. Firmware is basically the operating system for your router. Use the 5GHz network. Most newer routers offer dulaband, which means they send out two networks signals at 2.4GHz and 5GHz. The 5GHz signal will typically be less crowded and may provide a faster connection. If you’re a small medical office, slow internet problems could easily be fixed by switching to enterprise-grade Wi-Fi, which is what most businesses and large healthcare organizations use. Enterprise-grade Wi-Fi is more reliable and offers comprehensive cloud management, traffic analytics, customer support and user onboarding services. For doctors offices, this means an Internet solution that is more secure, can handle a higher capacity, and provides better coverage.